With Jason Kander and Eric Garcetti in the news every now and then, we’re led to this week’s trivia question: Who was the last person to serve as mayor and later go on to become president? The previous trivia question was: Who was the last defeated Supreme Court nominee to later run for office? The answer? G. Harrold Carswell. 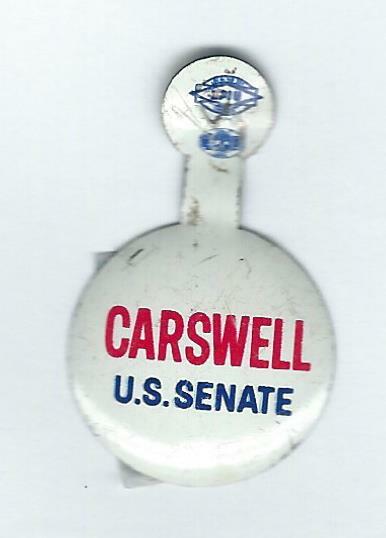 Carswell, a federal judge from Florida, was nominated by President Nixon to serve on the Supreme Court but was rejected in April of 1970 by a vote of 51-45. Later that year he decided to seek the Republican nomination for a Senate seat in Florida but lost the primary to Rep. Bill Cramer. And the randomly selected winner is … David Paskoff of Seattle, Wash. David wins the coveted Political Junkie button.